Lev Ryabinin graduated with distinction from the Kharkov Institute of Arts, Ukraine and continued his education at the Samuel Rubin Academy of Music at Tel-Aviv University. His Doctor of Musical Arts in Piano Performance and Pedagogy was earned from the University of Iowa. Dr. Ryabinin won First Prize in the Tel-Aviv Academy Competition and was a finalist of the Kankakee Piano Concerto Competition. He has presented recitals in Germany, Ukraine, Israel, Spain and the United States. Dr. Ryabinin currently serves as staff accompanist and piano instructor at Georgia College & State University in Milledgeville, Georgia. graduated with distinction from the Kharkov Institute of Arts, Ukraine and continued his education at the Samuel Rubin Academy of Music at Tel-Aviv University. His Doctor of Musical Arts in Piano Performance and Pedagogy was earned from the University of Iowa. Dr. Ryabinin won First Prize in the Tel-Aviv Academy Competition and was a finalist of the Kankakee Piano Concerto Competition. He has presented recitals in Germany, Ukraine, Israel, Spain and the United States. 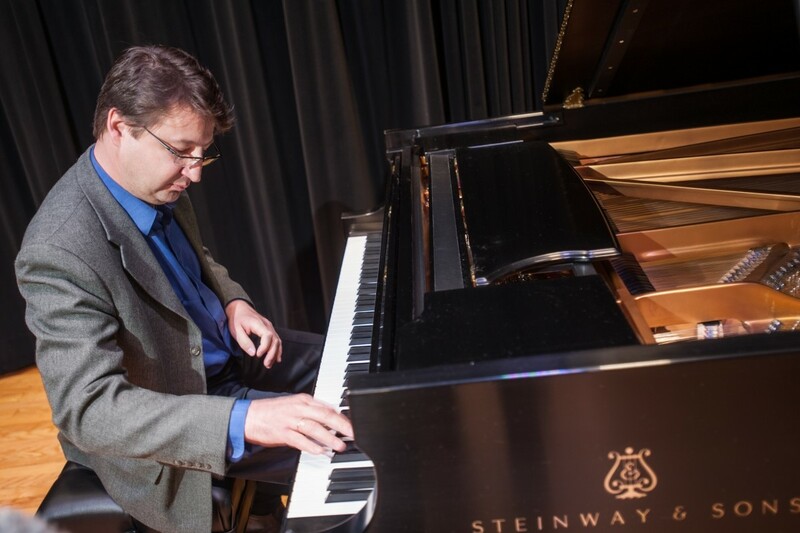 Dr. Ryabinin currently serves as staff accompanist and piano instructor at Georgia College & State University in Milledgeville, Georgia.